Definition at line 734 of file lscript_tree.h. Definition at line 737 of file lscript_tree.h. Definition at line 742 of file lscript_tree.h. Definition at line 2766 of file lscript_tree.cpp. Definition at line 2640 of file lscript_tree.cpp. References LLScriptByteCodeChunk::addBytes(), LLScriptScope::addEntry(), LLScriptScope::checkEntry(), LLScriptFilePosition::fdotabs(), gErrorToText, LLScriptGenerateErrorText::getErrors(), LIT_VARIABLE, LSCP_EMIT_ASSEMBLY, LSCP_EMIT_BYTE_CODE, LSCP_PRETTY_PRINT, LSCP_RESOURCE, LSCP_SCOPE_PASS1, LSERROR_DUPLICATE_NAME, LST_INTEGER, LST_KEY, LST_STRING, mChannel, mIntVal, mMessageID, LLScriptIdentifier::mName, LLScriptScopeEntry::mOffset, LLScriptIdentifier::mScopeEntry, mSender, LLScriptScopeEntry::mSize, mStrVal, mType, NULL, LLScriptIdentifier::recurse(), S32, and LLScriptGenerateErrorText::writeError(). 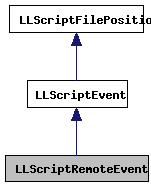 Definition at line 750 of file lscript_tree.h. 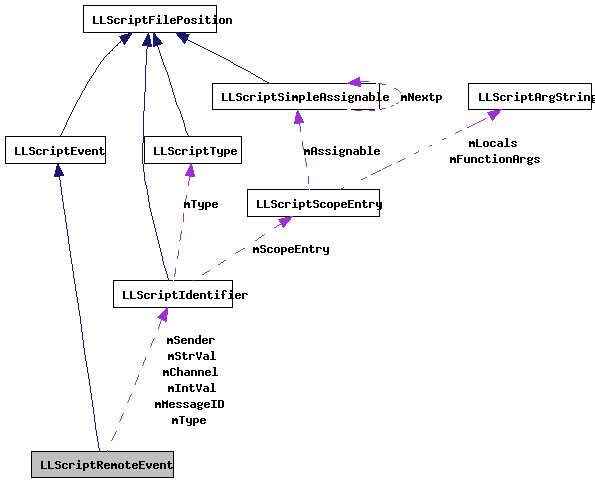 Definition at line 753 of file lscript_tree.h. Definition at line 751 of file lscript_tree.h. Definition at line 752 of file lscript_tree.h. Definition at line 754 of file lscript_tree.h. Definition at line 749 of file lscript_tree.h.